We had a very nice stay at Lotus Villa. It was a beautiful house and we filled it with great memories. Having the pool and proximity to beach were great. Perfect size for two families with kids. Loved the natural beach. Very quiet neighborhood with activities nearby such as dolphin watching. Very relaxing and fun! Lotus Villa on the Beach Front, Breakers Blvd. 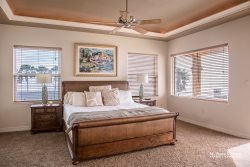 Beautiful Straw paths through the pretty dunes.. Beach access at the front street... a 5 bedroom 5 bath Private Residence of South Padre Island offers a spectacular accommodations suitable for every taste. Enjoy this tropical delight, Unique Pool and spa with a tanning ledge that is surrounded by a beautiful tropical palm garden. Cook and Dine on the large outdoor patio with patio bar and beverage center. Find a full pool bath and additional hot outdoor shower area. Lounge in the outdoor living room poolside. Inside enjoy all the amenities of luxury. Gourmet kitchen, coffee bar and beverage bar. Large Dining table that seats 10 and kitchen island that seats 6. Decks for dining or lounging or enjoying the view in every room ! The Tower room, with its 360 degree view, 4th level deck, also has a loft bed and serve as the cozy 5th bedroom with an amazing views day or night!!. There are 4 charming bedroom suites each with a private full bathroom and adjoining decks with beautiful view of either sunrise or sunset! The perfect vacation for the entire family awaits you at Lotus Villa at The Shores of South Padre Island! Located on the tropical tip of Texas, South Padre Island is the Lone Star State's tropical paradise. Bordered by the Gulf of Mexico and the Laguna Madre Bay, this 34-mile long barrier reef island ideally combines the conveniences and attractions of a modern resort with miles of pristine island terrain. With year-round tropical weather, sunny beaches and internationally renowned birding, South Padre Island is never out of ways to have fun. In fact, the Island has consistently been rated one of America's best beaches by The Travel Channel (2000, 2001). An abundance of activities such as sailing, windsurfing, dolphin watching, parasailing, jet skiing, horseback riding on the beach, shopping, tennis and lounging by the pool await every visitor. As the days wind down with breathtaking sunsets over the bay, night clubs and restaurants come alive with conversation, dining, music and dancing. South Padre Island is also one of the best kept secrets for salt water fishing and deep sea fishing. The Laguna Madre Bay is one of the hottest spots for tropical saltwater fishing, and has waters filled with snook, redfish, and tarpon among other prized tropical game fish. With over 253 days of gorgeous sunny weather, visitors can enjoy fishing at South Padre Island all year round! There truly is no place like South Padre Island - an exciting fun, safe and beautiful beach town with the shores of the Gulf of Mexico within walking distance from any place on the Island. The Shores of South Padre Island invite you to come and discover paradise at the Island, and see what makes South Padre the Best Beach in Texas! RoomFive Tower Bonus Room with 2 twin pull off pallet futon mattresses. Great for kids teens or adults who love a 360 unobstructed balcony views. Please call to make any special requests for exceptions to booking policies. ask about local stay-cation deals"